Stephanie and I tried to fit in as much as we could, I only spent two full days in Italy and the other two were split between travelling to and from as well as taking in a few sights when we could here and there. 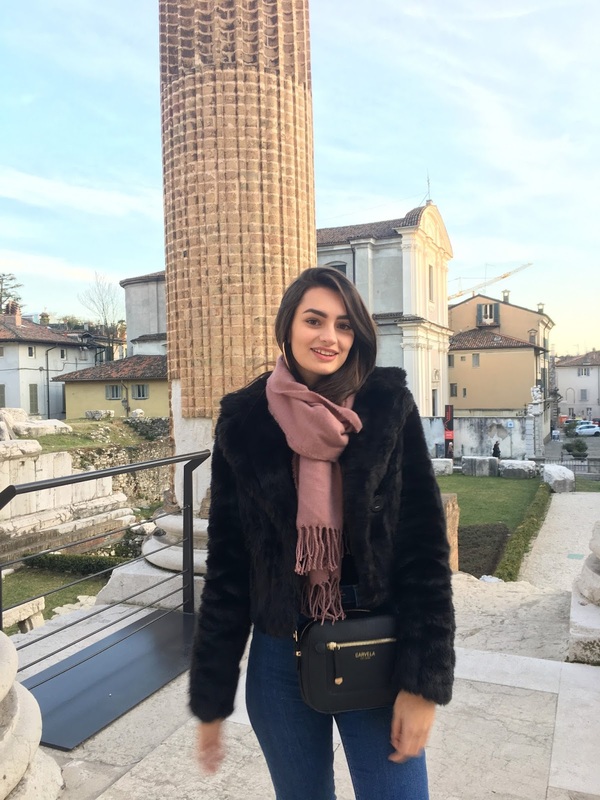 I spent a whirlwind weekend in Italy visiting my best friend Stephanie who is currently completing a six-month work placement abroad. I had been putting off this trip for so long, Steph finishes next month and I definitely waited until the last minute to book my tickets and I honestly thought it wasn't even going to happen. Recently, I've been finding travelling quite stressful because of the sheer quantity of work that needs to be ready and scheduled before going anywhere and for that reason, I was really putting off booking even a weekend away. With a few pushes from Steph I finally booked and I'm so pleased that I did! Yes, I've come back to a lot of work that needs to be done but it was lovely visiting my best friend and exploring a new part of Italy. 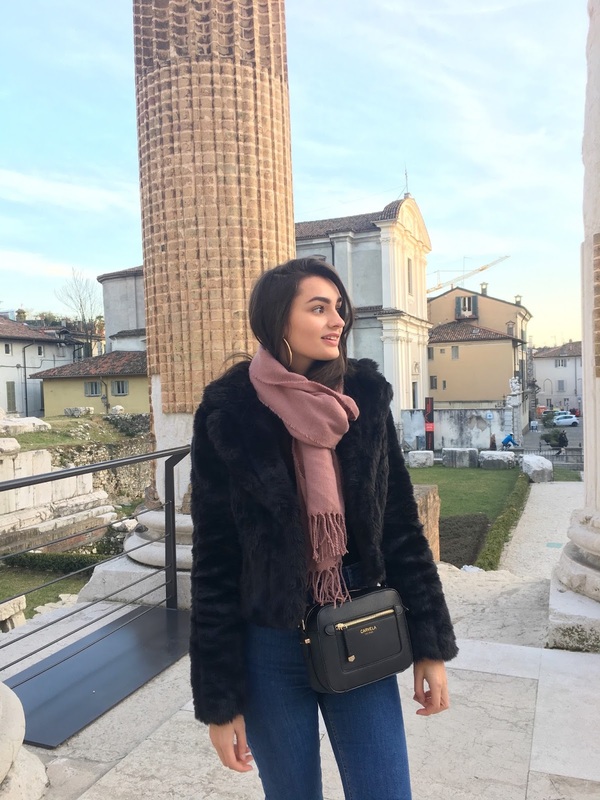 Similarly to my first trip of the year (to the Maldives), I wanted to put together the snaps taken on my iPhone which are usually the candid shots that never seem to make it anywhere. 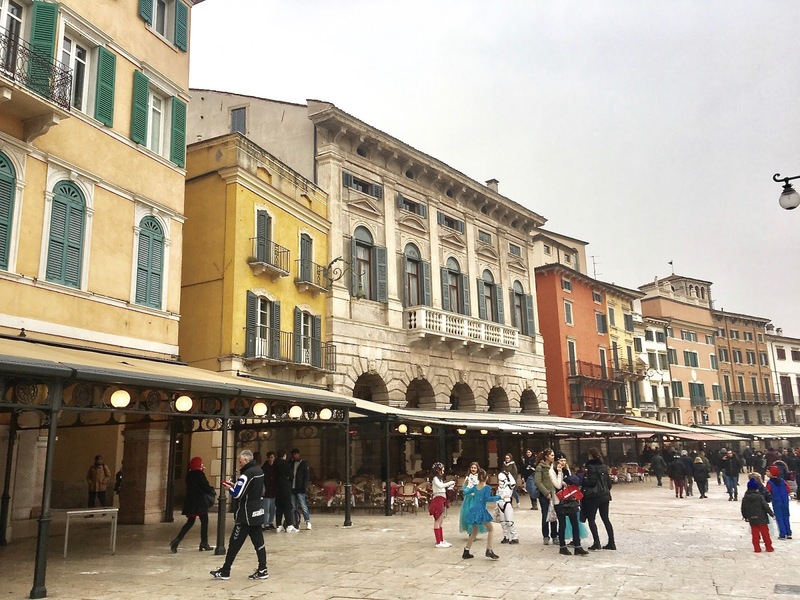 I arrived in Verona Friday afternoon and headed straight into the city, sadly the weather wasn't on our side and we were greeted with cloudy skies and even some showers but that didn't stop us exploring. On our walk to the town centre, carnival was in full swing! I definitely think it's a european thing because it's also celebrated in Portugal and it's quite a big deal. We walked past countless floats, children in fancy dress, music blaring and confetti covered the streets. We had to dodge the silly string and packets of flour that were being thrown by teenagers but we made it untouched into town. 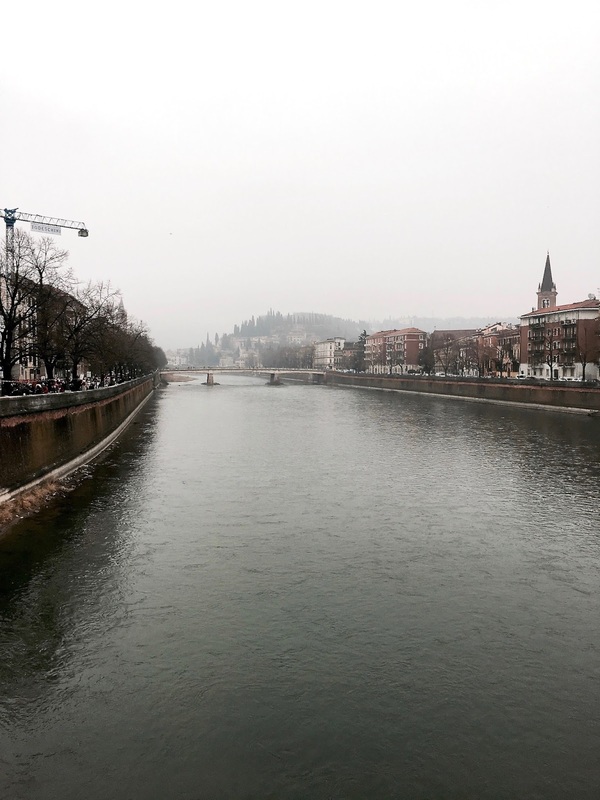 I loved Verona, it's a shame the weather wasn't on our side that afternoon but from what I got to see, albeit very brief and grey, I loved it. 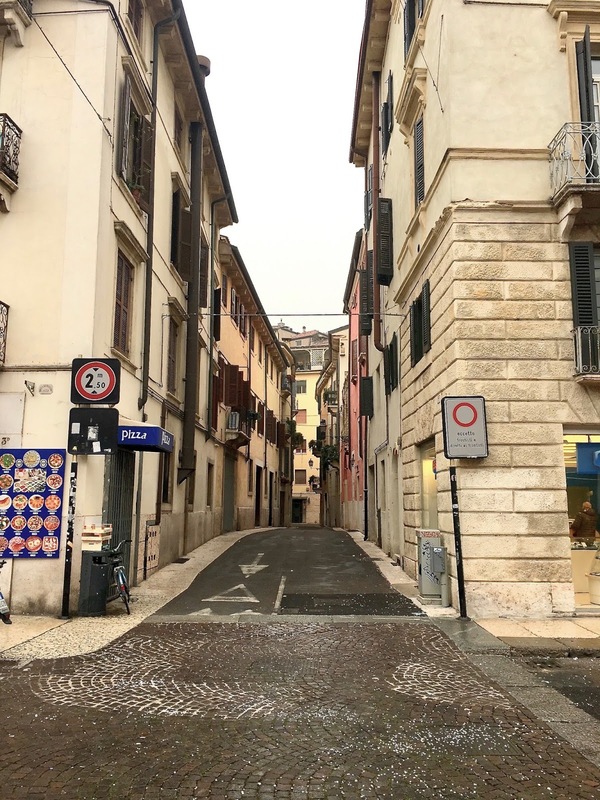 Walking through the town felt like I was in Disneyland, walking through the typical Italian streets they create in the theme park, I couldn't quite believe that Italian towns actually look like that in real life. 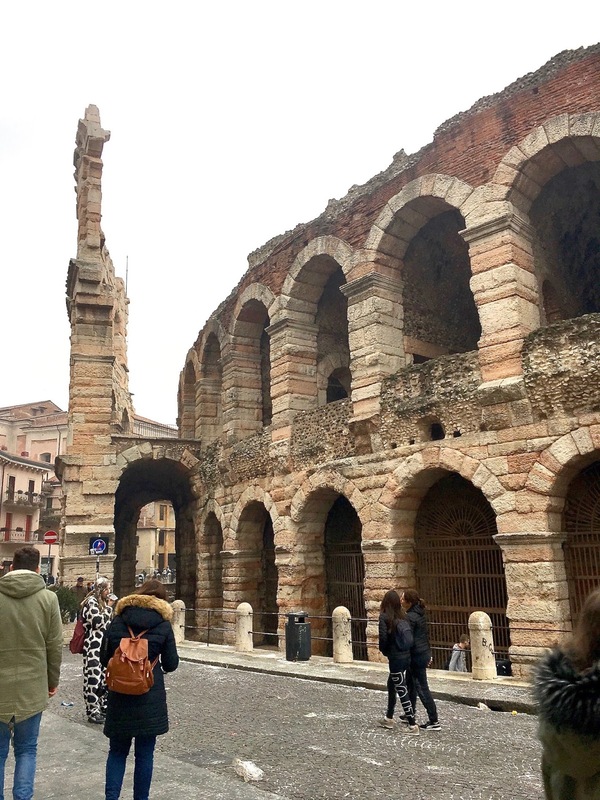 You could easily spend a weekend in Verona exploring everything there is to see but we only had a few hours so we went to the best bits. We walked past the amphitheatre and many other ruins spread across the town. 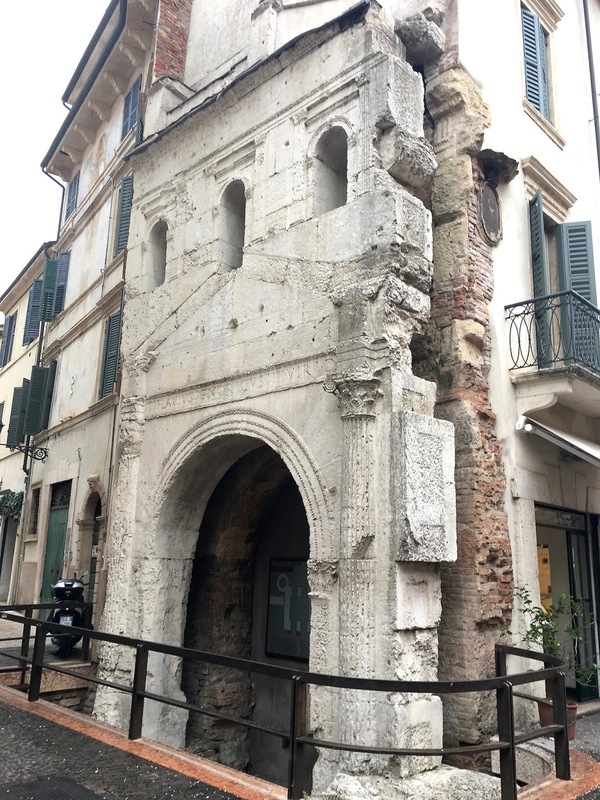 Of course a trip to Verona simply isn't complete without visiting the famous balcony where Juliet once called for Romeo (or at least she did in Shakespeare's tale). 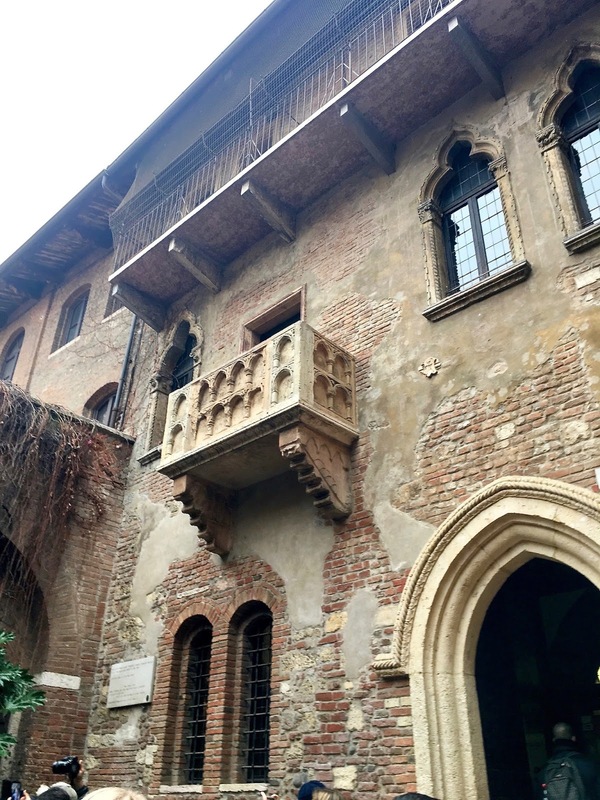 There was something so magical about looking up at Juliet's balcony, I actually had no idea this was in Verona - I was very unprepared for this trip - but luckily, Stephanie has been living in Italy for a good few months so she knew where to take me and I'm so happy I got to visit! 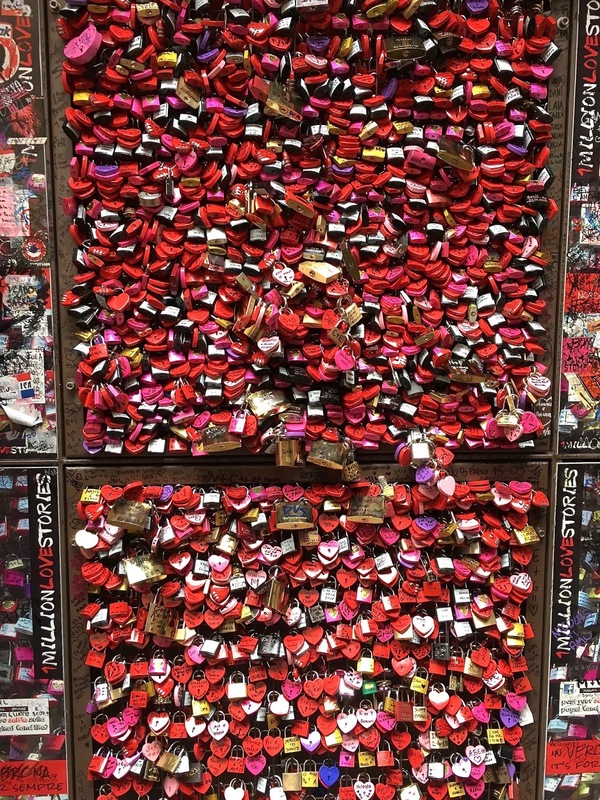 The space is filled with declarations of love whether it be in the form of a padlock, writings on the walk or even letters left for Juliet (some secured with plasters, and period pads.. I guess desperate times call for desperate measures). 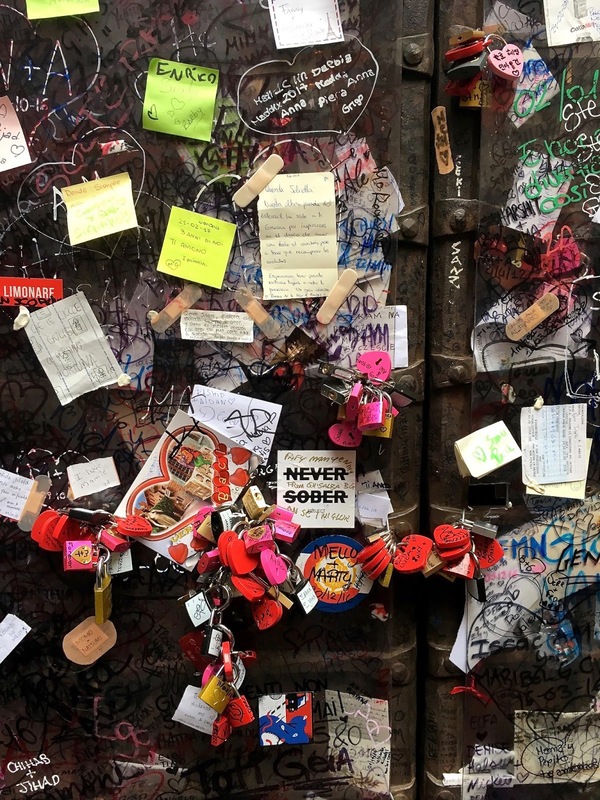 Despite the rain, the courtyard was crowded, the small space was overflowing with tourists trying to take pictures cupping the right breast of Juliet's statue - don't ask me why but that's apparently the thing to do for good luck in love. I of course did it too. Little did we know that getting from one side of the small town to the other would involve making our way through crowds of people who had gathered to watch the carnival. It was really lovely to see actually, I know in Portugal it's quite a big deal too but I had never experienced it myself. 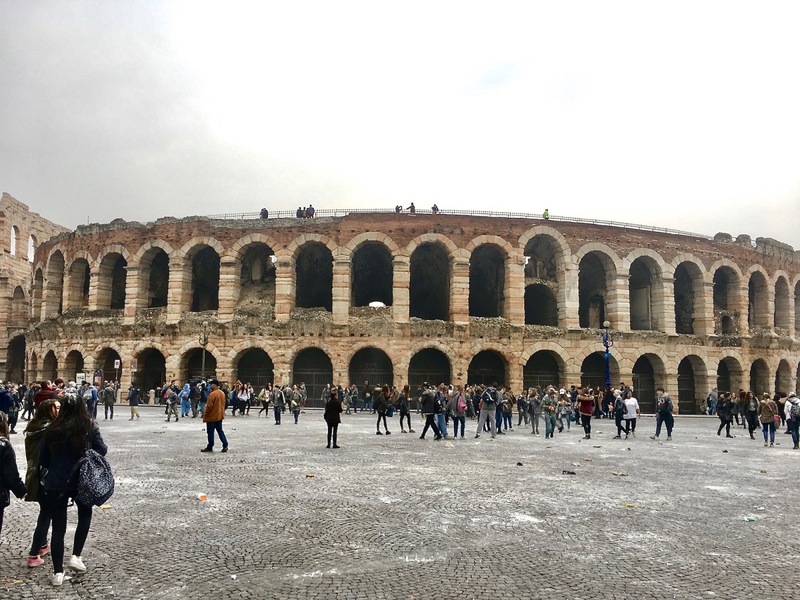 It was pure chance we ended up in Verona on the same day of their carnival celebration. 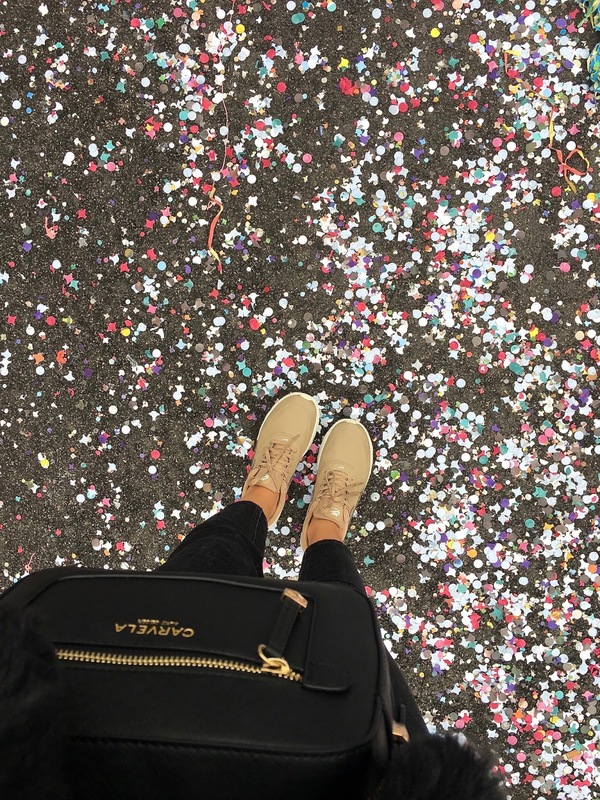 The streets were covered in confetti and the people were drowning in both flour and silly string. After battling the crowds and awkwardly walking through the carnival procession whenever we found a big enough gap to run across to the other side we made it to the river. The view wasn't as great as we would have liked thanks to the fog but it was still lovely. 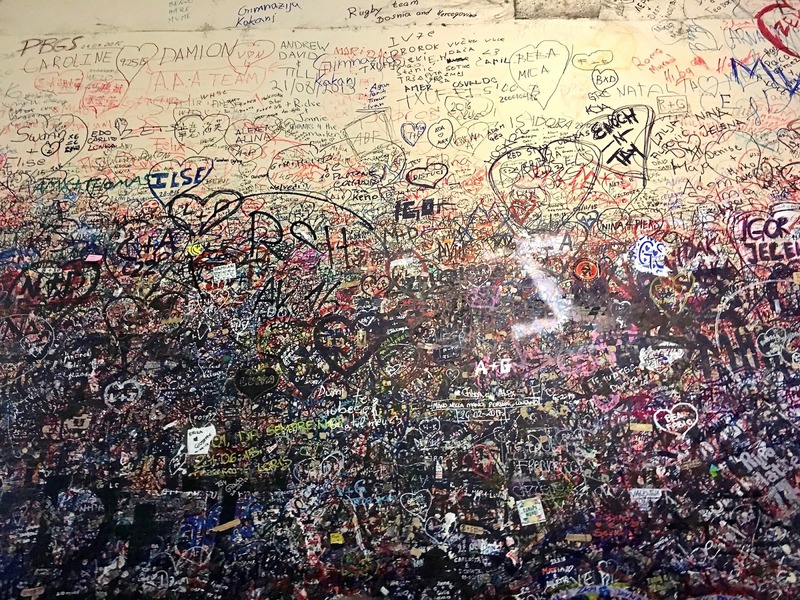 I'm sure there's much more to see in Verona but this was all we managed to do in the short space of time we had, I'm really pleased we got to see Verona and I feel like we did enough but that could be purely down to the fact I had done no research beforehand whatsoever! I was only in Italy for a weekend and we wanted to go to as many places as we could so don't expect this to be filled with things to do and see in each city because it was only really a flying visit. Day 2 we got on the train to Milan, just over an hour away from Brescia which was where we were staying. 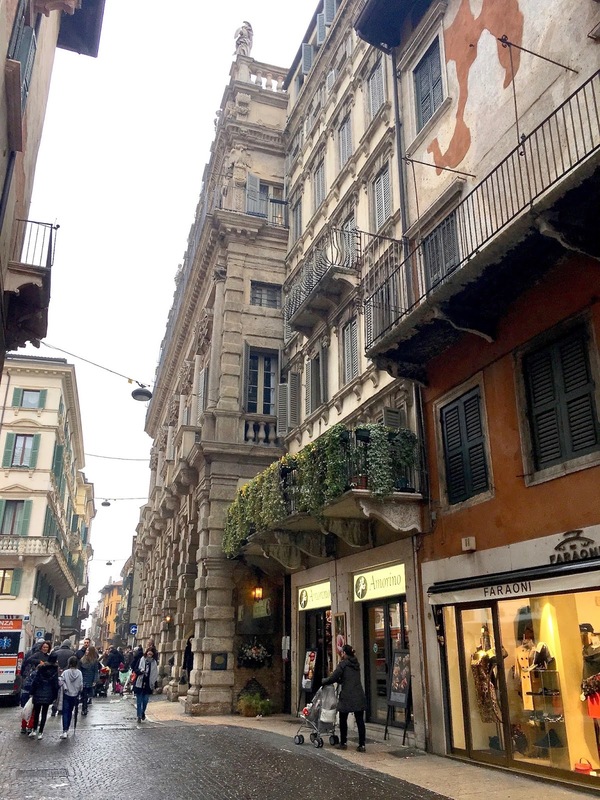 I'm almost ashamed to say all we did was make our way from the station to the Duomo and back; we chose to walk rather than get the metro as it was a beautiful day and with not a lot of time to do much more we wanted to take in the sights during our walk. Before reaching our destination, we walked through Galleria Vittorio Emanuele II which is absolutely beautiful. 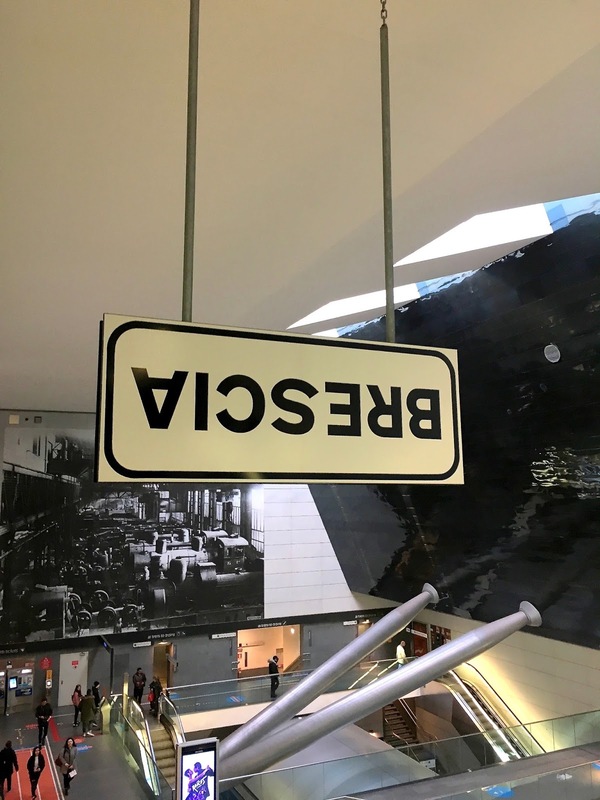 It's filled to the brim with designer stores, sheltered by a glass ceiling and completely surrounded by beautiful artwork. We walked through and then reached the Duomo which was as grand as I imagined, we took a seat and watched the world go by. 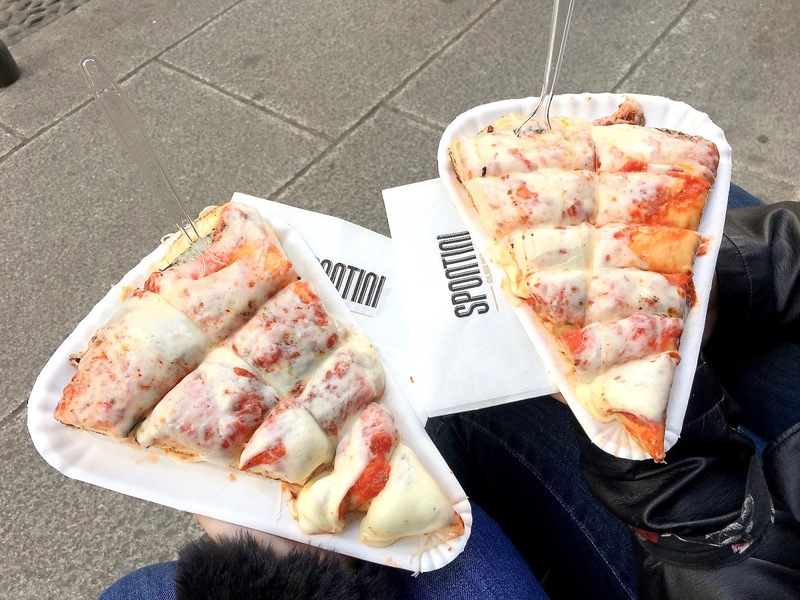 As we started to get hungry we took a walk and came across Spontini where we grabbed a slice of pizza for the journey back to Brescia. 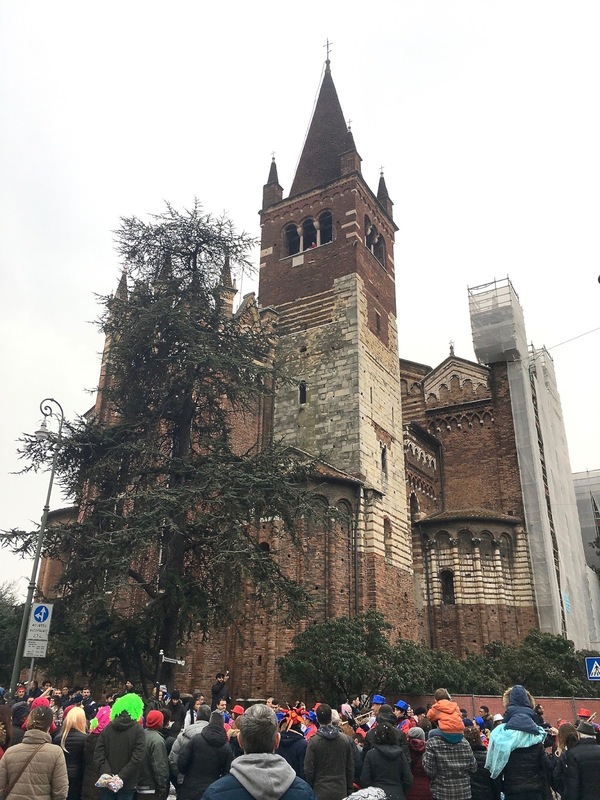 I had never been to Milan before and there is without a doubt, much more to see and explore in the city but on this occasion time wasn't on our side. 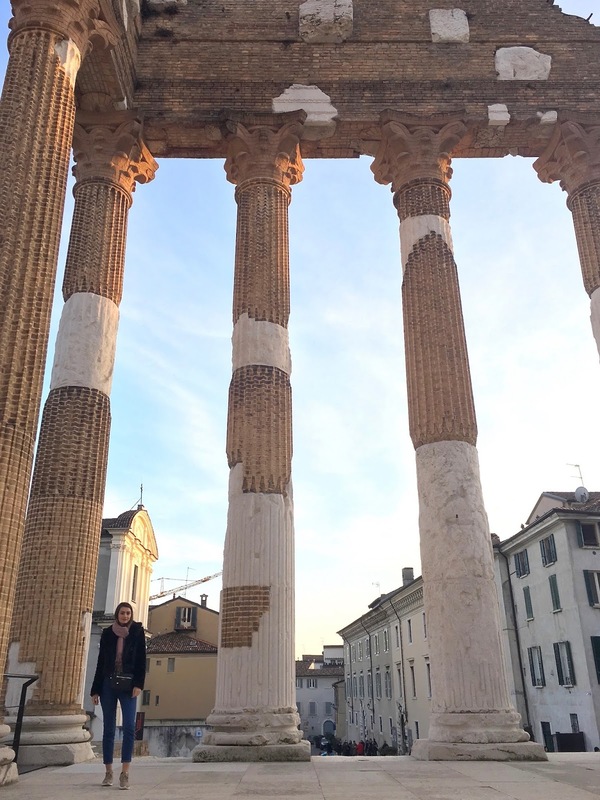 As I mentioned previously, we were staying in Brescia but I hadn't had the chance to explore the area yet. We arrived back mid-afternoon and got the metro into town (which I have to say is pretty cool, the trains are all driverless and the stations are just so clean and tech-savvy). 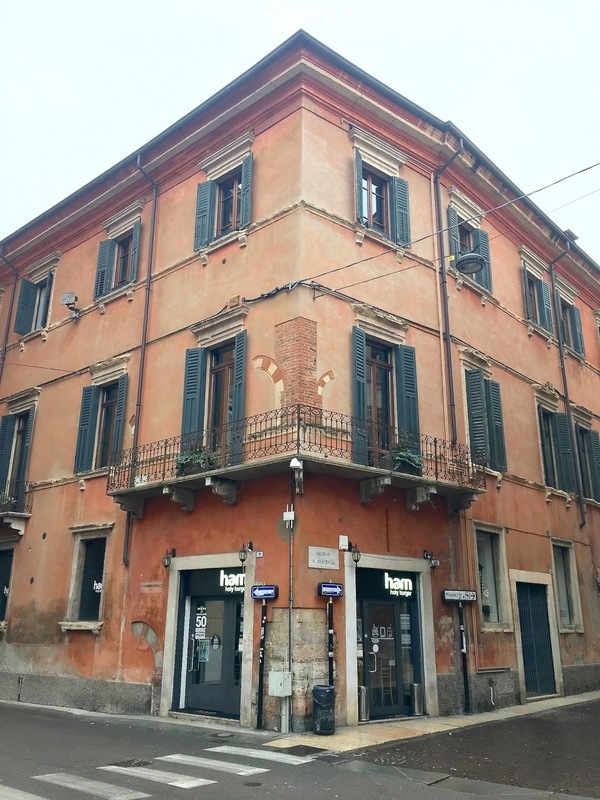 Brescia, although a small town, still has a lot to offer. 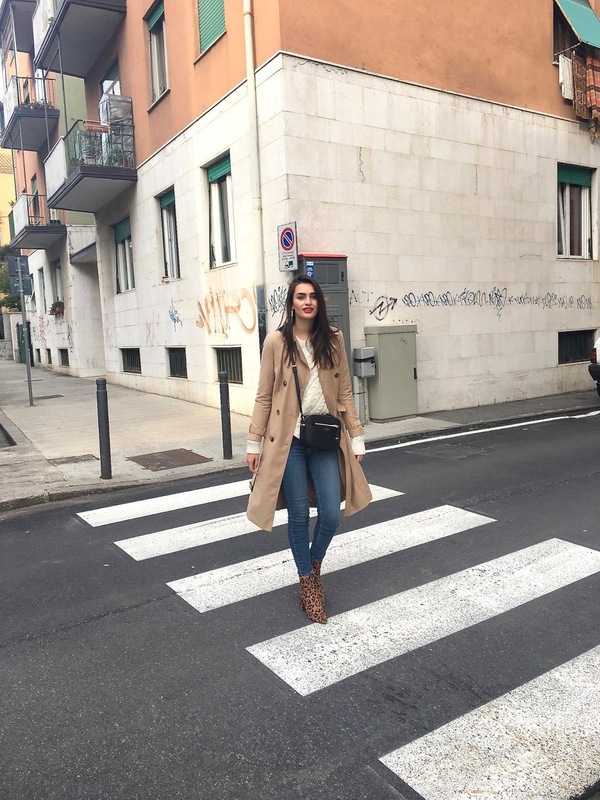 Brescia was another town I completely fell in love with, I loved the little towns far more than Milan, it felt more authentic and everywhere was just so beautiful. Again, the streets were typical Italian streets filled with cute houses and people sitting outside, sipping on coffee. 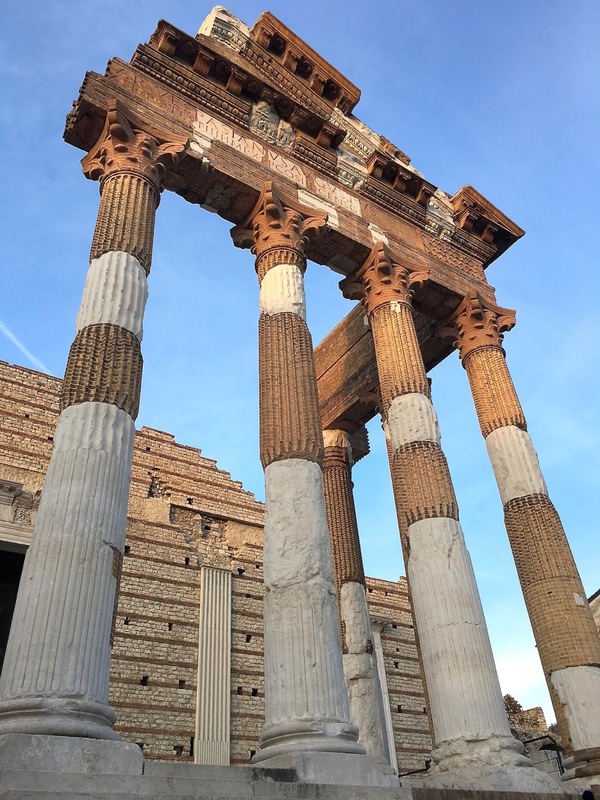 We visited a few Church's and then made our way to the ancient ruins which are partially reconstructed but still quite the sight. We got there at golden hour, just before closing time, which made it all look even more grand. From there we went to Brescia's castle which involved a lot of stairs! We wanted to make it for sunset so we tried our best to make it up the stairs as fast as we could but we did have to take a few breaks along the way. Once we reached the top we took a seat and watched the sun go down before grabbing dinner. 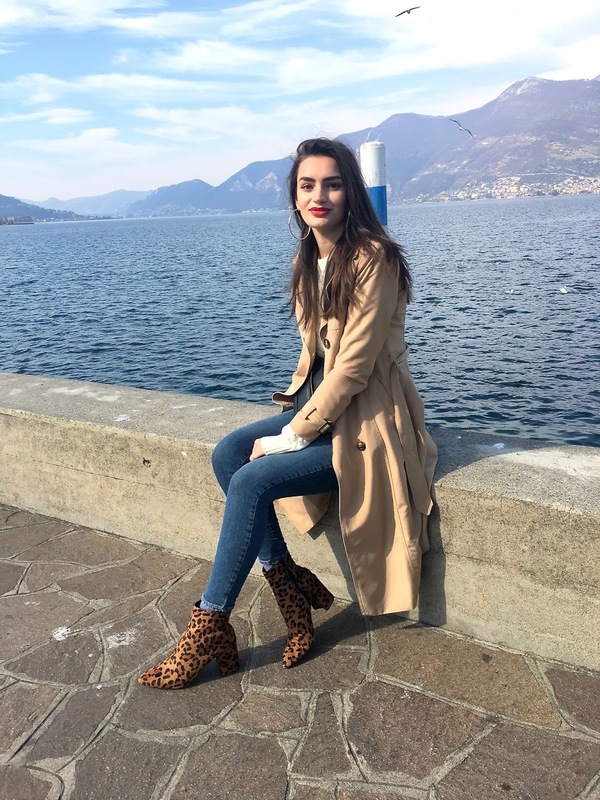 Sunday was my last full day in Italy and we made our way to Lake Iseo. We were toying between going to Lake Garda or Lake Iseo but we decided on the latter as Stephanie said it was her personal favourite. Luckily, once again the weather was on our side. After a short train ride we reached our destination and sat by the lake for hours just chatting and admiring the view. As we started to get hungry we popped into a cafe for a chocolate overload! 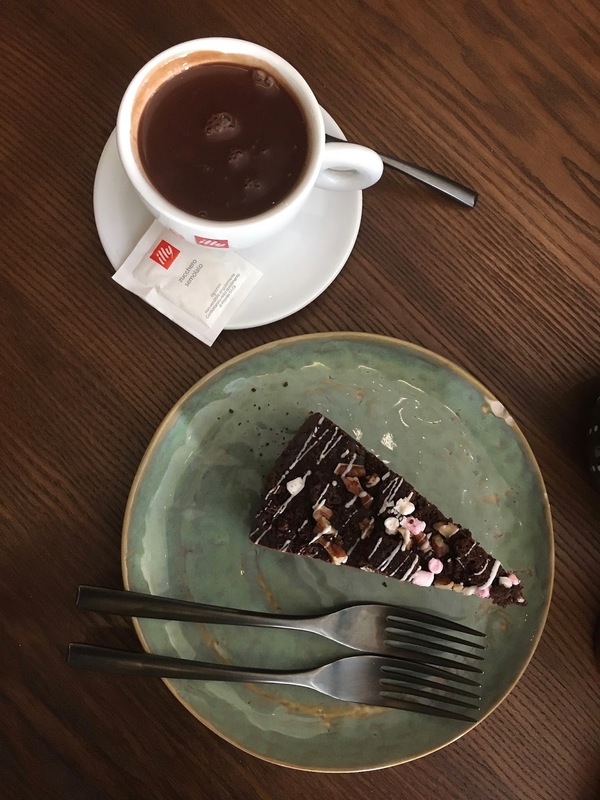 We grabbed a slice of chocolate cake which was divine, Stephanie had a coffee and I had a hot chocolate which was literally pure melted chocolate, definitely not to my taste. 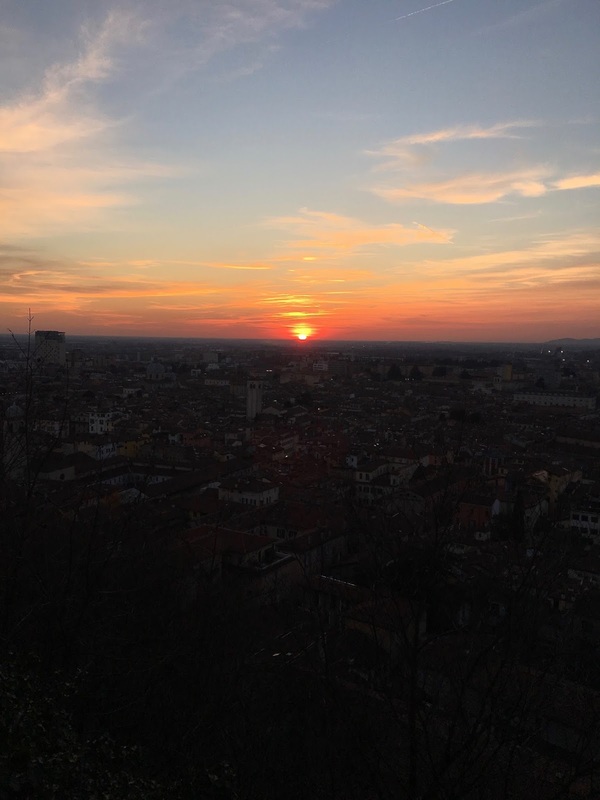 Finally, we made our way back to Brescia and spent the rest of the evening eating gelato, catching up and packing for an early start the next morning. 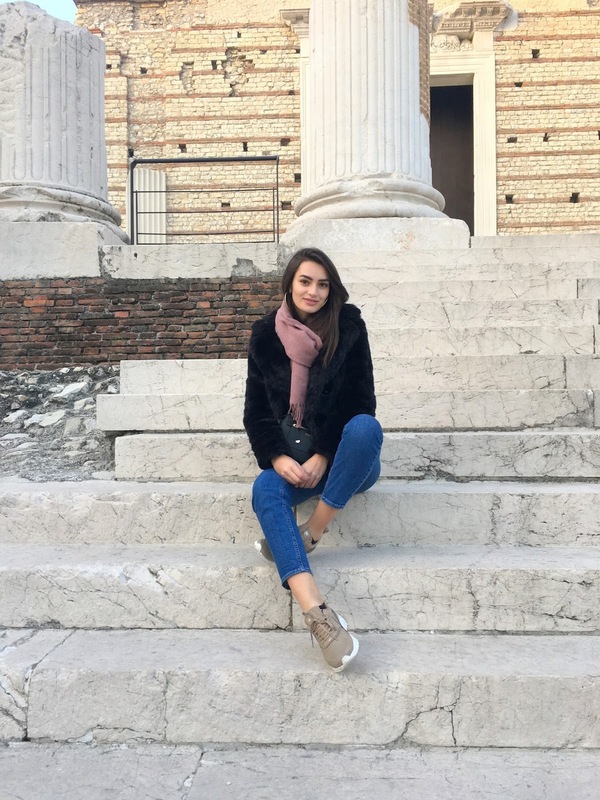 I hope you enjoyed having a look at what I got up to in Italy! I still have a couple more posts to share with you so I will be working on those throughout the next week and sharing them with you really soon. I'm going to Italy for the first time in September and this post is beyond exciting. Such a beautiful country!